I was thinking of the British Empire and how if you were there and you were the viceroy of India you would feel that you were doing only good for the people of India. Or similarly, if you were in French Africa, you would think I’m educating them, I’m bringing their resources to the world, and I’m helping them. There was a time where cultural imperialism was absolutely accepted and, in fact, if you were a history student you would be proud of the contribution that these great empires gave. 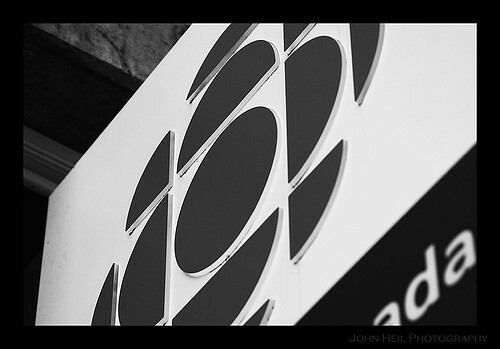 However, the CBC doubled-down on its position in its submission to the Broadcast and Telecommunications Legislative Review panel, calling for an expansion of site blocking to also include “blocking of websites that disseminate manipulated content, including news.” The proposal confirms fears that a site blocking system would quickly expand beyond copyright. The CBC submission also calls for the establishment a new Internet taxes, applicable to both broadband and wireless services to fund Canadian programming. It envisions a full Internet regulation structure with the CRTC empowered to licence and regulate online services to contribute to the discoverability of Cancon, including regulations on “digital media undertakings to ensure the promotion and discoverability of Canadian content.” It would also like to see requirements that online services provide Canadian rightsholders with data on how their content is used. Tait tweeted out a portion of her cultural imperialism remark – “we are at the beginning of a new empire. Let’s be mindful when responding to global companies coming to Canada – confirming that this was no lapse. Rather, it represents a shocking lack of historical awareness and a regulatory mindset that is completely out-of-touch with millions of Canadians who both pay for the CBC through their tax dollars and subscribe to Netflix. The CBC is an arrogant, out-of-touch, dysfunctional organization. Its scandals are well known (Ghomeshi, 5th Estate JFK conspiracy shows that would make Alex Jones proud, fighting freedom of information requests, lying to parliament about salaries, and journalists making paid speeches to organizations they report on). It has the third ranked national news. Its comedies make Two Broke Girls look like comedy gold. Its dramas are overwrought, cringe-worthy productions. It has expanded into online written news and opinions – areas it has no right to under the broadcast act. And now it wants to save us from Netflix, fake news and other internet evils. Please won’t someone save us from the CBC. NETFLIX is so popular because nobody wants anything that cbc is suggesting. If we did want canadian content and to be told what we can and can’t watch there would be no subscribers at all for them, instead half the country subscribes a third more leeches off those subscribers. What this means is nobody is interested in the garbage they are producing and they need to face it because the tech is coming to space that will allow us to bypass all regulation soon enough. Don’t force Canadians to go grey and black yet again as the DirecTV days proved we will. Your definition of “nobody” needs adjustment. I really believe in having a publicly funded media entity like the CBC because media regulated by the free market loses its purpose of empowering people to make informed decisions about their government and the world. Yet there is no stopping the Internet or services like Netflix. So the solution to me is simple: provide Netflix with all CBC content. If the real issue is making sure Canadian content is seen by Canadians and protecting our culture from being stomped into the dirt by American culture then I see no reason why not to. That content and that culture could suddenly have a world wide audience. Sorry but I doubt I’ll ever be firing up yet another app and yet another streaming service just to get some CanCon. But if it was included in my Netflix I would likely be watching it all the time. I agree with you that a public broadcaster is a good thing but, as @Marcus Coles also mentions down below, the CBC fell off the tracks long ago. I’d say sometime before 1980. Indeed giving the CBC a world wide audience is the way to go. Make it more “internet like”. As it is, the CBC web site actively blocks many people based on IP, Canadians included, when it should be doing the opposite. The CBC gets lots of corporate money, and is just as “owned” by corporate interests as much as any mainstream network. Listening to the propaganda they’re pumping out these days, they’re right on par with Global, CTV, and the rest. “Empowered public media” is nothing more than a myth now. I’m done with the mainstream. I do not understand why she is grateful to Netflix for “My Brilliant Friend” which is a series running on HBO. Good point Ms. Tait. The parallels are uncanny. The Internet is about choice, the CBC wants to limit that choice and freedom. I have no problem seeing the imperialism in this case and it is not from Netflix. A national public broadcaster is a valuable asset, but I think the CBC fell off the tracks and has been running around without proper direction for decades. I am eternally thankful for my PVR that allows me to eliminate the annoying ads and any other rubbish on the CBC (and other commercial stations for that matter) There is so much on Netflix that is also rubbish I sometimes feel I’m not getting my money’s worth in the subscription – that’s just been increased! However without the annoying advertisements on Netflix or Amazon Prime, they are the go to sources for our entertainment. There are plenty of us down here in the States that would love greater access to CBC and other CanCon, except for the fact it is overwhelmingly paywalled or restricted to Canadian-only audiences. CBC is being foolishly protectionist. The public face of this is to “protect Canadian content,” but the real motive is protecting profits of big Canadian telecom companies and broadcasters who want quotas for invaders and captive Canadian audiences for their content. Their only motive to keep foreign ‘freeloaders’ from watching is monetizing it with re-licensing for international viewing. Ironically, many of the CBC’s most popular exported shows are on Netflix where American audiences are discovering them for the first time. And on shows like Schitt’s Creek, almost nobody here would even know it was Canadian because they keep that fact out of the plotlines I have seen thus far. When will Canada get over its inferiority complex? America being bigger is not better. Considering the chaos and idiocy down here, I admire Canada’s ability to function in the reality-based community, maintain its integrity, and have respectable radio and TV productions that are more meaningful to me than the dreadful pseudo-information talk radio and all-Trump, all the time obsessed media we are enduring.